It all started when Peter Justesen made Fire Screen Mesh in 1960 out of his home basement in Vancouver BC. Peter Justesen went on to take his childhood hobby and turn into an adult profession and launched Justesen Industries. In 1981, he established Justesen Industries at its current location in Blaine, Washington. During the early days of Justesen Industries, Wolfgang Kommer worked for Peter Justesen. In 2002, Wolfgang Kommer bought the remaining shares from Peter Justesen and now owns Justesen Industries. Justesen Industries is a premier producer of fireplace screens and architectural drapery mesh that decorate displays at world renowned cultural and entertainment destinations and protects wildlife and people at some of the most popular zoos and aviaries. Justesen is an industry leader in manufacturing screen mesh for homes and a wide variety of commercial venues and tourist havens. Today, Justesen Industries is a world leader in manufacturing fire screen mesh. Our highly skilled personnel produce mesh for architectural drapery, safety, and security purposes, as well as for window coverings, at the world's leading entertainment destinations and exotic cultural centers. For example, our curtains hang at the Showroom in Greece, and our architectural mesh adorns ornate rooms at Sherbourne Park in Toronto and the Sheraton Hotel in Mexico City, while our decorative mesh also beatifies the Victoria Winery in BC Canada. Our exquisitely made architectural mesh decorates the World Trade Center in Seattle, the Guggenheim Museum in both Las Vegas and in New York City - working closely with world-renowned architect Frank Gehry, as well as the Casino de Roulotte de Chantier in QC Canada, the Celine Dion Stage at Caesars Palace in Las Vegas, and the Coca-Cola plant in San Francisco. At Justesen Industries, we operate sophisticated machinery that caters to the strictest standards of our customers. 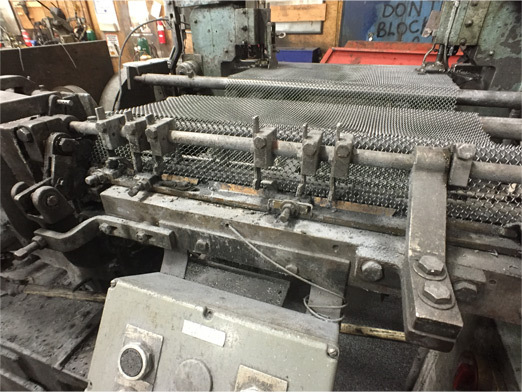 We adapt quickly to customer orders by relying on our 35 high speed, computerized weaving machines that are capable of producing more than 30,000 square feet of specialized mesh daily! Our CNC milling and lathe machines that create all our tools give us the singular ability to fulfill custom orders with very short lead times! Our exceptional customer service doesn't stop there. Justesen Industries uses a technologically advanced wire drawing machine to generate wire in a wide range of sizes, further meeting the strict standards of our customers. 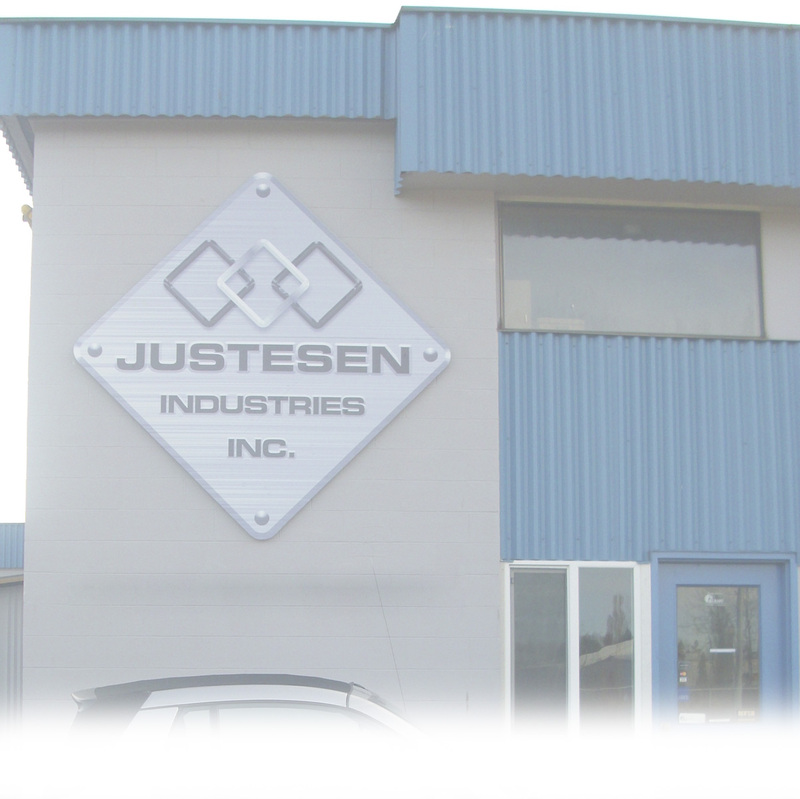 Justesen customers enjoy the added convenience of size flexibility and getting on-demand orders met consistently - made possible by our large inventory of aluminum, stainless steel, brass, and copper wire. All of these premium quality industrial materials are manufactured at our 20,000 square-foot plant in Blaine - where Justesen began more than 30 years ago! For more than three decades, Justesen has offered its customers the Replacement Fire Screen Mesh program through the sale of roll mesh to dealers and distributors. In order to meet the ever-changing needs of our customers, Justesen also ships large volumes of mesh panels to O.E.M. fireplace and glass door manufacturers. Justesen Industries is the quality leader worldwide for screen mesh and all its many uses-both commercial and residential! Copyright © 2015. Justesen Industries, Inc. All rights reserved.